Guest blog written by Chris Langley, Senior Sector Manager at DCA Design International Ltd.
Malvern Panalytical in conjunction with DCA recently received two awards for the Morphologi (4 and 4ID) and Zetasizer (Ultra and Pro) at the prestigious Red Dot 2018 product design awards. The distinction ‘Red Dot‘ is recognized internationally as one of the most sought-after seals of quality for good design. The Red Dot Award jury comprises some 40 experts from around the world, who discuss, evaluate and test every single entry, live and on site, in a process lasting several days. The submissions are not compared with each other, but are assessed individually against stringent standards. “Zetasizer Ultra and Zetasizer Pro fascinate with their sculptural look of puristic elegance, which does not distract from their intuitive use”. These awards represent significant recognition of the dedication, skill and hard work of the teams at DCA and Malvern Panalytical in creating, developing and refining the designs, and the commitment to retain attention to detail through the industrialization process as needed to realize designs of a world-class level. When Rowena Innocent (R&D Director at the time) first approached DCA to discuss assisting Malvern with the visual design of the next generation instruments, we instantly recognized the importance of Malvern’s strong brand and long-established reputation as a global leader in its field. Our first action was to deeply immerse ourselves into Malvern’s brand and, by involving key opinion leaders across Malvern, to interpret and distill this into a 3D Visual Brand Language (3D VBL). A 3D VBL is a strategic tool that guides but does not dictate how the agreed brand values and product messages can be expressed through a three-dimensional form using tangible design cues. The visual design of any particular product needs an element of flexibility; each product needs to be an individual with room for novelty and innovation. So the 3D VBL helps designers achieve consistency without overly constraining the design across what can often be a diverse range of products, ensuring that each communicates a concordant message. For both of these new Malvern Panalytical instrument systems, DCA worked closely with Alison Lockton, project manager responsible for visual brand language, and the respective product development teams, as well as component manufacturers. From the outset of these projects, we joined the development teams to understand the features and functions of the planned new instruments. This involved detailed discussions with R&D engineers, application scientists, product managers and members of the sales teams. 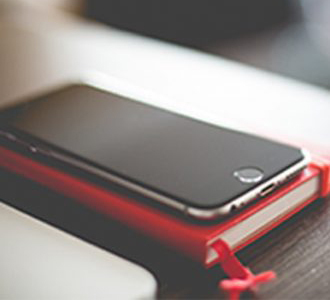 We also explicitly focused on the needs of the end-user, including stepping through how they will operate and maintain the product and its interfaces. In addition, we listened to feedback and ideas from the broad range of other stakeholders, for example, we talked with the installation and service engineers to understand aspects of the product to which they need frequent access, and with manufacturing engineers involved in final build and testing, to understand their requirements. With all these inputs, we formulated a new visual design, including shape, surface and stamps, all guided by the Malvern 3D VBL and focused on the specific needs and opportunities for the new system. Importantly, the VBL and stakeholder requirements remained relevant throughout the development acting as a consistent check and guide as more details were implemented. The VBL and stakeholder requirements helped form the basis for a shared understanding among the wider project team. Whenever any aspect of the design was questioned, an explicit link could be made back to the brand values (through the VBL) or the particular needs of the stakeholders. So why do the new Morphologi and Zetasizer systems look like they do? Each one has been designed to visually convey the brand values of Malvern. 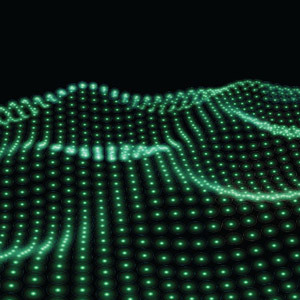 The forms, surface transitions and materials, and target design details have all been designed, considered and refined by consistently referring to the Malvern VBL for guidance. 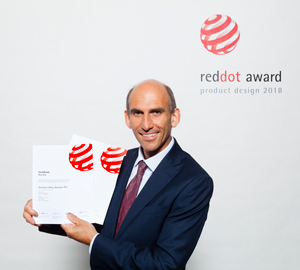 As DCA’s project leader, I had the privilege of attending the Red Dot ‘Designers’ Night’ at the Red Dot museum in Essen, where I collected the award certificates on behalf of DCA Design International and Malvern Panalytical. These two new instruments represent the brand values of Malvern as they were initiated and well progressed before the formation of Malvern Panalytical. Moving forward, Malvern Panalytical is forming new strategies and evolving the brand values as it brings together the strengths and heritage of the previous companies in a single entity. We look forward to the opportunity to assist Malvern Panalytical as their brand values develop and evolve into new and exciting instruments and technologies in the future.